Provision of timely, professional and accurate advice. Clearly understand and provide exceptional efficient & cost effective services inline & commensurate with clients request. Provide personalised business solutions to exceed client expectations. Conduct business with high ethics, integrity and honesty. We have particular expertise in all aspects of Commercial, Residential, Industrial and State and Local Government Developments. Our range of professional services spans from the initial preparation of feasibility reports, provision of professional advice at project meetings, preparation of statutory and local authority planning and development applications, through to construction control surveys, lease plan surveys, title plan surveys and preparation and co-ordination of registrable documentation to facilitate issuance of titles. Our Company has a proven track record of providing a total service in alignment with other consultants or providing requested services to an appointed Project Manager. 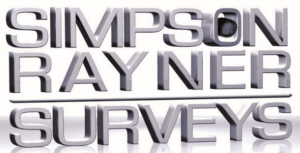 As key personnel from Simpson Rayner Surveys have been commissioned to perform many surveying briefs similar to projects with which you are involved, we believe we have narrowed down and fine tuned the required methodology to complete your requirements in the most cost effective manner.